An essential tool for marking every fleet more effective, reducing costs and ultimately allowing business and government to do more with less. Fleet may cross boundaries, enter low speed zones, become disabled, or arrive at a landmark destination - all tranparently to the fleet operations team. In case of emergency, an activation notifies responders and tells them where to go, in time to make a difference. Web and mobile applications for fleets and so it can be used from any computer and smart phone anywhere, anytime. 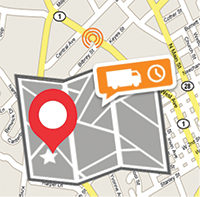 Providing flexible integrated GPS fleet management solutions for various industries. Dedicated team staffed exclusively by CTB Fleet Management members with keen understanding of our solutions and your business. Option to tailor a program to meet your unique requirements. In-house development team works closely with clients to customize end-to-end solutions from hardware and software design till hosting. 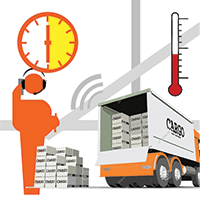 Proactive support that can keep your fleet operating in top condition. 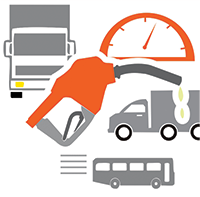 Assigned virtual fleet manager to keep you informed on a regular basis. 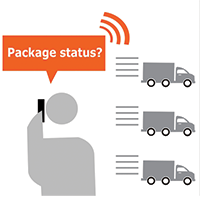 Keep track of numerous information of your order such as location status, journey activities, estimated arrival time, dispatch status etc. Trigger alerts for fleet idling over the set threshold, fuel significant drop etc. Keep track of your fleet maintenance schedule according to distance, duration or date depending on type of service needed. Maintain a historical record of all services works carried out (schedule / ad-hoc maintenance, inspection, accident etc). Handy reminder for next schedule maintenance. Keep a record of driver's travel routes, driving speed, engine start-up and shutdown, idling time and more. 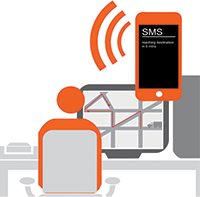 Monitor engagement and disengagement transaction of trailer locations, dispatch information. Handy reminder for driver license renewal, trailer collection. Generate listing, statistic and analysis reports for journey, exceptional events, driver, trailer, dispatch, temperature, maintenance etc. 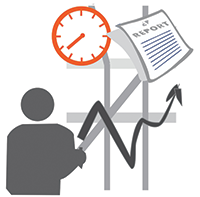 Reports are automatic generated on daily, weekly and monthly basis. Exportable in csv, pdf, text format. Fleet Access provides a module for easy monitoring of the entire fleet management system via finger navigation. 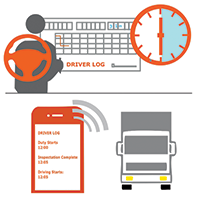 Manage unlimited web and mobile users by assignment group of fleets to monitor, receiving alert notification, fleet controls and module access. Control fleet user access for certain period and/or all time. Enjoy greater flexibility with the web and mobile app acces. CTB Fleet Management Solutions is an expert in providing flexible integrated GPS fleet management solutions for various industries. Our in-house development team works closely with clients to customise end-to-end solutions from hardware and software design till hosting. Our key services are the CTB Fleets Data Security and CTB Fleets Assist, both offering unique and powerful solutions for different needs. 35-3, 3rd Floor, Jalan Bandar 16, Pusat Bandar Puchong, 47100 Selangor, Malaysia. Receives real-time data relayed through the GSM network. Allows enterprise users to conveniently log onto a hosted internet portal to retrieve and interpret information about their fleets. Data access is customer controlled through password security using SSL sessions for data encryption. The Fleet Management Solution Back End System is located in a secure, environmentally controlled data center, manned and operated 24 hours a day 7 days a week by skilled technicians. The facility is secured by biometric sensors, CCTB battery and generator backup. 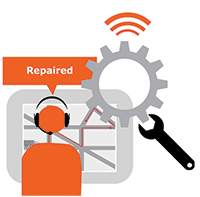 Offers proactive support that can keep your fleet operating in top condition. Dedicated team staffed exclusively by CTB Fleet Management System members with keen understanding of our solutions and your business. Inclusive of rapid online and hotline support. © 2014 CTB Solutions Sdn Bhd. All rights reserved.